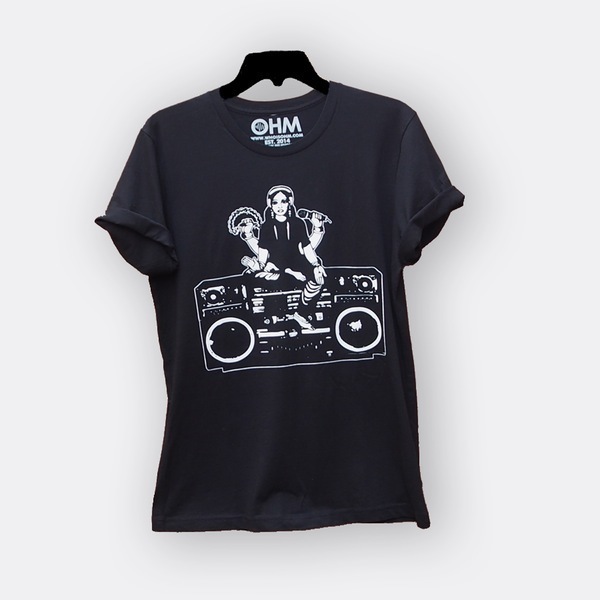 As part of the "Music Is My Religion" series, we present the Lakshmi Boombox tee. Lakshmi can't go anywhere without her radio and you shouldn't either. On the back of this super soft tee is the OHM logo.